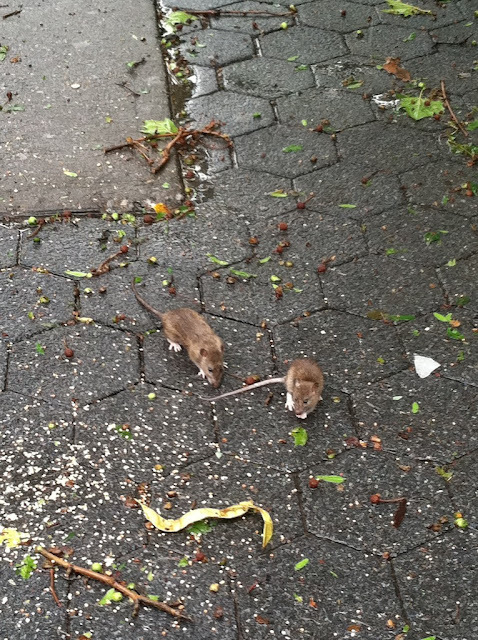 Per EV Grieve reader Jamie: "Past Tompkins...teeming with rats...pretty unbelievable. It looks like the whole ground was moving." And from @gaminette — "There are dozens of not dead rats in Tompkins Square Park - they came thru #Irene just fine." 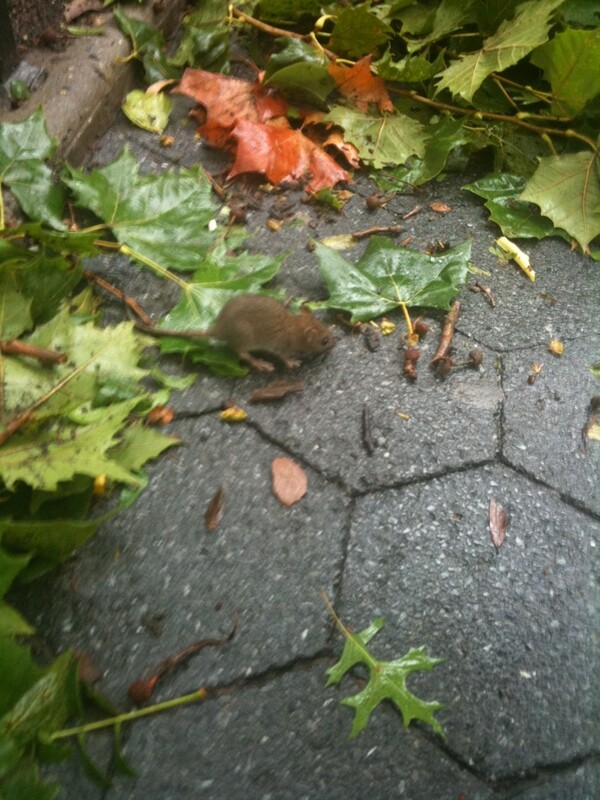 Glad to see the rats lived another day! Go rats! was there at noon or so. never saw so many rats in one place in my life. all over the place....lots and lots of them. way more rats than squirrels or pigeons combined. the ground really was teeming. never seen anything like it. shoulda used a whiffle bat like whack a mole.